•	Provide you with a comprehensive assessment of your specific business vehicle needs and give you our written recommendations. •	Outline the best manner in which to take care of the financing needs; you can even bring your accountant along! •	Provide a single point of contact specialist that will spec it, order it, prep it, out-fit it and deliver it. 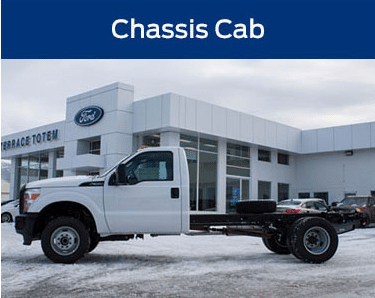 The perfect vehicle for you… without any hassle at all! 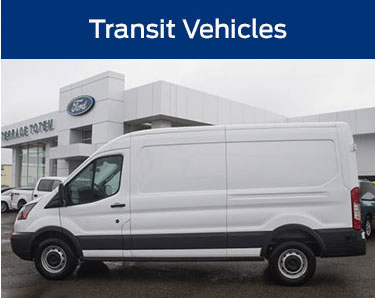 From genuine Ford accessories to customized shelving/racks to full commercial service bodies, we know the right parts, the right suppliers and the right installers to make your vehicle work efficiently for you. •	From laptop mounts to dividers to customized rear seat storage systems, we can make your vehicle an extension of your work space. •	We can also capitalize many of these accessories right into your lease or purchase, saving you out-of-pocket expenses and making it so convenient to customize the vehicle. 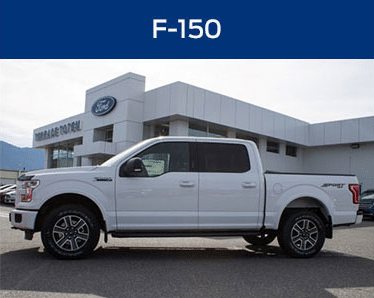 •	Whether from Ford or a Ford-approved supplier/builder, all accessories are fully warrantied to give you a comfortable, peace-of-mind ownership experience. Terrace Totem Ford will ensure you never miss a service interval with our individualized reminder system, and flexible hours for service. We keep your vehicles working longer and harder for you by keeping them in top shape. •	With Ford's pre-paid maintenance plans, we make it far cheaper - and incredibly easy - to keep your vehicle maintained throughout your ownership cycle. •	With our dedicated reminder system for your specific vehicle's maintenance regimen, we provide worry-free ownership - it's just part of what we do here. •	Regular maintenance means fewer breakdowns and costly repairs, so your vehicle stays on the road earning you money. We have 14 trained technicians and nearly a quarter of a million dollars in parts on hand, ready to address any warranty repairs or breakdowns with a minimum of fuss and time. Your business runs 30 days a month; why shouldn't your vehicle? •	We will ensure that your vehicle is serviced regularly by our factory-trained techs, which protects the full warranty completely for the entire warranty period, or for as long as you have your vehicle. Peace of mind ownership has never been this easy. •	As we mentioned above, we have properly trained technicians and that means your vehicle gets repaired properly - the first time - giving you more time to make it work hard for your business. •	We have service loaners or subsidized rentals available 24-7 in the unlikely event of a vehicle breakdown, keeping you on the road and conducting your business. 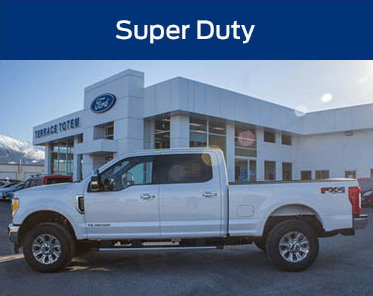 Terrace Totem Ford, knows Ford parts work best because they are specifically designed for your Ford vehicle… so that is what we use. It maintains factory performance, contributes to a safer operation… and protects your resale value. Your vehicle is your workhorse and a showpiece, so maintaining it with genuine parts from Ford reflects on your business… and protects it at same time. We know how important your vehicles are to you - we run vehicles for our business, too. And we know you have choices for your transportation needs - it is why we work so hard at earning your business… and keeping it. Our goal is simple. To provide the highest possible level of service to your small business/company - from purchase/lease to trade-in - based on saving you time and making it safe and convenient for you to deal with us.